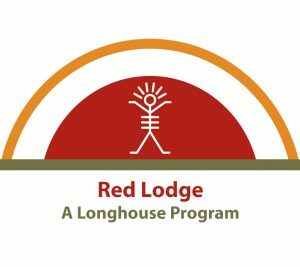 The Red Lodge Longhouse Program offers you teachings that you will not find anywhere else. Students describe Red Lodge as “the ceremonial guidebook to spiritual growth”. It’s the fast track that combines the greatest wisdom from the ancient traditions in a useful way for our contemporary world. The program helps you find your own expansion and self-growth in ways you can apply in your life and to the greater community. Red Lodge gives the tools to ground your spirituality into your lifestyle and teaches you how to be part of the solution instead of the problem. Red Lodge is the experience of magic, matrix and potential for harmony. Red Lodge is designed to support students in moving through the first three gateways of the gateway process. Through gateway teachings, tasks and ceremonies, students of this path are supported to make their own connections to Spirit, to develop their own true knowing. The teachings of Red Lodge come from the lineage of the Sweet Medicine SunDance Path. This lineage has preserved vast amounts of knowledge within the Southwest Turtle Island Power (North, Central and South America), as well as from other Eight Great Powers traditions. These teachings provide the tools necessary for you to take beauty, command and magic back into your life. A Red Lodge Longhouse typically meets six or seven times over a 12-month period — once every other month for six weekends (or five long weekends) and an additional week that includes a full ceremonial experience in nature. Each year of this 4-year program, has a unique learning focus. In first year, we are introduced to the “wheels and keys” that hold the teachings. We learn to use these wheels and keys to investigate our connection with the universe and all forms of life and how to identify and change our unproductive behavioral patterns. In the second year, we deal with our substance — our physical reality, our physical body. We discover what kind of character structure we have and why our body looks and works as it does. In the third year, the teachings, ceremony and integration of previous years ensure our ability to use the tools for self-healing as well as in service to others. The fourth year of Red Lodge offers more teachings, techniques and ceremonies that support us to become “Rainbow Warriors” who have written a “new story” for ourselves that embodies the jumps made in our self growth and development. Exercises, group discussions and activities during the program allow for inner personal reflections. There is also a physical focus component known as Black Lodge. 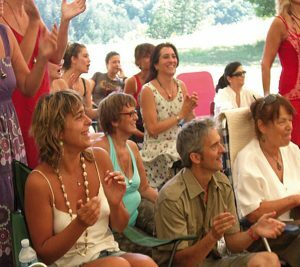 The many varied and powerful ceremonies held throughout the program are key to integrating teachings and accelerate personal growth. We also gather annually for ceremonial week, a chance for all students to engage in longer ceremonies.